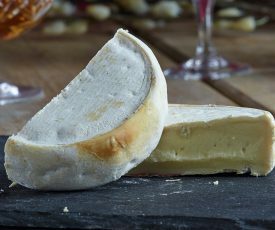 Traditionally, this lovely soft cheese from Franche-Comte in eastern France, was made with a layer of morning milk and a layer of evening milk. The cheesemakers would end the day with leftover curd that was not enough for an entire cheese so they pressed the remaining evening curd into a mould and spread ash over it to protect it overnight. The next morning, the cheese would be topped up with morning milk. 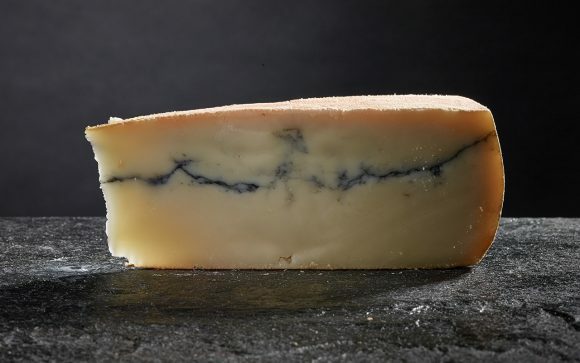 Nowadays, the cheese is usually made from a single milking with the traditional ash line replaced by vegetable dye but it still looks fantastic and tastes like a soft Comte. What’s it taste like? 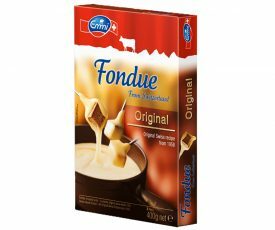 The creamy alpine taste you’d expect from a cheese from this region but with a softer texture. Where’s it from? Imported from Franche-Comte, this Morbier AOC is UNPASTEURISED and comes wrapped as a wedge piece of cheese of 250g. That’s odd because here its pertty much the opposite most of the time with quality products. Those famous brands don’t have great quality, the smaller ones, made and created by people who live in the neighborhood, are always organic and taste much better. For example the olives I used are imported by a family friend from Crete and he keeps his olives, the oil and cheese in the local stores for sale.